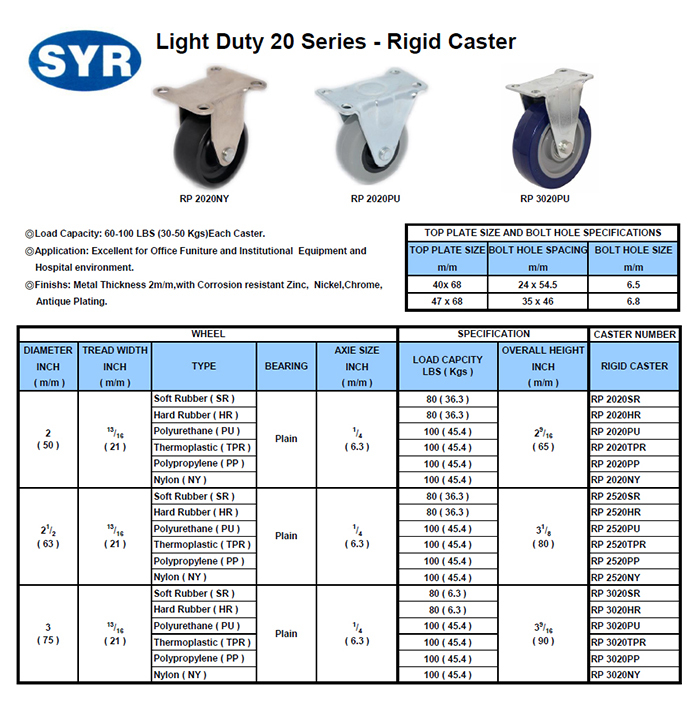 .Load Capcity:90~350 LBS each Caster. .Application:Use in hardware,factory and warehouse. Good Combination of strength, durability, economy.